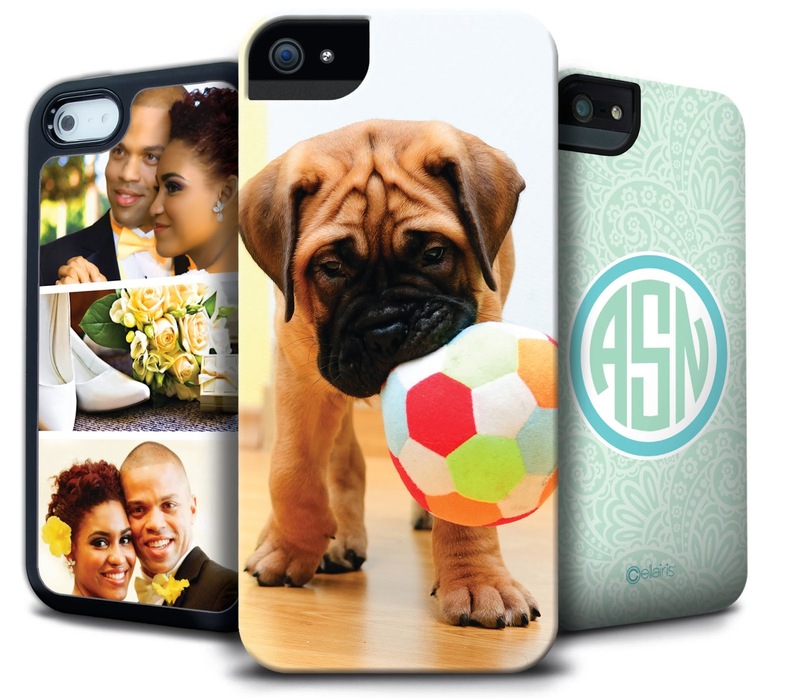 2013 Bellyitch’s Favorite Things Giveaway Starts Today! Bellyitch’s Favorite Things Gift Guide and Giveaway! It’s that time of the year again! Holiday shoppers will be searching high and low for unique and creative gifts to give their loved ones and may snag some discounted finds of their own while they’re out shopping. As you consider what items to purchase for that new mom or dad, dad or mom-to-be, toddler, kid or busy and active person in your family, please consider one of these awesome gift ideas that are part of Bellyitch Favorite Things of 2013! We’ve curated a fine listing of one-of-a-kind, innovative, and off-the-beaten path items that are likely to put a smile on the recipients face. The preliminary listing of products and services up for grabs is below and captured in the image above. However, do return here often as this page will be updated with new promotional partners we are adding on an ongoing basis thru the Give-aways end on December 15 — just in time to announce the winners and get their products shipped off to them in time for Christmas! Good Luck! 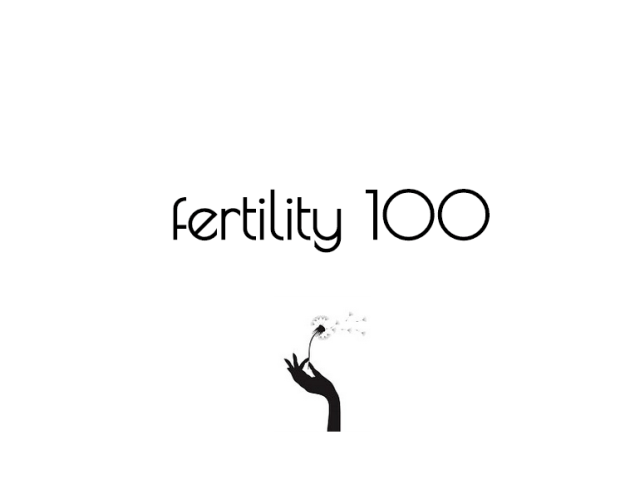 Look for the first product today! We are gifting away the Fuchsia Knot Dress that Kate Middleton wore on her OK! Magazine cover and inside story introducing her son George to the world. It retails for $79.99 US and would be a head turner! To enter simply fill the form below. This is the first item up for grabs in our Bellyitch’s Favorite Things Giveaway of 2013. Enter daily to increase your odds and come back tomorrow to see what is the next item being given away! Good Luck! Contest open until December 15! McGee’s Prenatal Yoga and Pilates set offers moms-to-be 5 workouts to select from: Prenatal Power Flow Yoga, Prenatal Breathing and Meditation, Prenatal Pilates Tone and Sculpt, Prenatal Peaceful Flow Yoga and Prenatal Express Workout for when you’re in a rush but want to get it in. 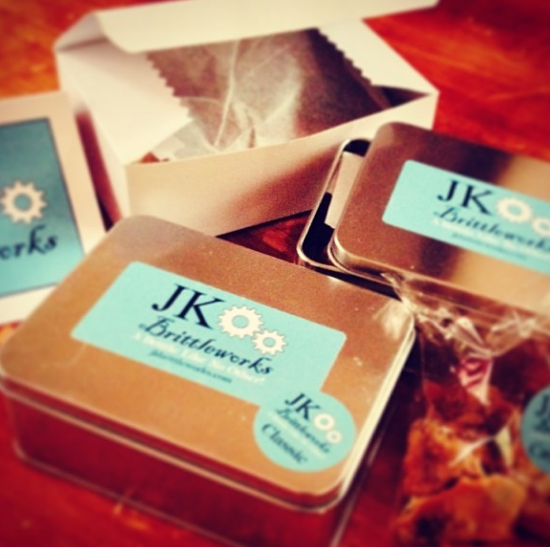 Here’s the deal: if you have a wonderful teacher, lobby clerk, secretary or other personnel in your life you value, you may want to pick up a tin or two or three of JK Brittleworks delectable to-die for pecan brittle. The stuff is out-of-this world deelish and can and should NOT be left alone with you open in a room. Warning: serious poundage is at risk being packed on if you do. It’s best to have the stuff just delivered straight to the recipient and/or just not opening the package, slipping a bow on top, a cute note card inside or a Christmas card taped alongside of it. The iiamo go bottle is the world’s first self-heating bottle. It won the 2009 Chicago Athenaeum Good Design award, the I.D. magazine Annual design review and the Red Dot award. Whether you are shopping for your teen, sister, or bestie, a cute, unique piece of one-of-a-kind jewelry you picked up from a far-off boutique or an artisan shop would make a wonderful gift. 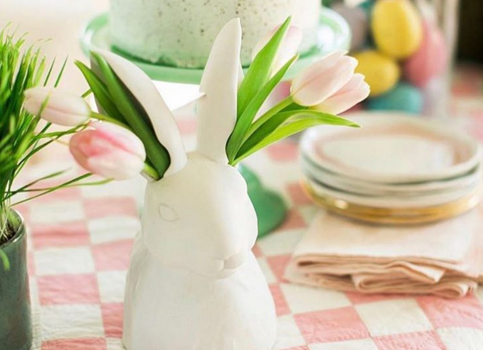 If you don’t live near places where you can buy from small crafters and shopkeepers, then Etsy’s online hub of thousands of artisan craftsmen and women is your best stop option. That’s where we spotted these gorgeous hand-crafted earrings at 3LoveDesigns on sale there for $20. We love them for ourselves but are opting to gift them to one lucky Bellyitch Reader to win and give away or keep for herself! These yellow Aventurine and Lava earrings are one of Bellyitch’s Favorite Things of 2013. Enter below now thru December 15th and get it before Christmas if you win! Enter daily! Get them while they’re hot. Baby Bella Maya makes these fashionable toss and go bags called Go Go Pouches. These multi use and stylish pouches securely attach to anything with a locking carabineer, are machine washable and come in 3 sizes to hold and take it all with you anywhere. They are CPSIA certified, BPA, Phthalate and Lead free lined inside is perfect for holding everything from snacks and changing items to cosmetics, cell phones, keys and more. In a rush, grab a couple of diapers, a changing pad, some swaddling blanket in a Go Go pouch and head out the door. They’re the perfect solution for a busy family. And sometimes, you have to head out but don’t need to haul the entire baby bag. Or, if you need to head to the bathroom during an outing with the baby alone and have a place to leave your diaper bag, you could just pick up your Go Go Pouch with your changing, feeding or nursing essentials and go! And enter here to win your very own Go Go pouch in your design of choice (retail from $5.95 to $17.99) Simply enter below from now until this Sunday, December 15 at midnight. When your little one opens up a birthday or Christmas present that is a book bearing their own name on the cover, they will beam with glee! That’s exactly the effect our reader reviewer ($29.95) Gabrielle had when she got her first I See Me! book. Upon opening the book, she was further delighted to see some of her family and friends interwoven in it as well. The book was illustrated so the race and other personal features of the little girl subject were indistinguishable. It could be a child with red hair or blond hair, almond colored or cocoa or vanilla complexion skin. It had the oooh factor. Our reviewer Jarrod was equally pleased to get his Goodnight Little Jarrod book in the mail. It was perfect for a kid who loves animals to see sheep, dogs, crickets, owls frolic and dance about in the gorgeously illustrated story book. Award-winning artist Mary GrandPre put her stamp of approval when she drew some wonderful whimsical characters in the Jennifer Dewing-authored book. Stamped in the cover of each I See Me! book is the child’s birth date and a dedication. These books would make excellent gifts at baby showers for sure! They are certain to elicit those oooohs and aaaaaahs one hears during the gift-opening portion of baby welcoming events. Order it HERE for 15% OFF its usual $34.95 price! Personalized children’s books make great unique gifts and that’s why I See Me’s “Goodnight Little Me” book is one of Bellyitch’s Favorite Things of 2013! You can win your very own personalized book from today thru Sunday December 15th at midnight below! Open to US entrants only! Enter Daily! If you have ever wanted to get Botox or a neck lift but was scared of needles or going under the knife, Mama Mio has come up with a wonderful solution for you! 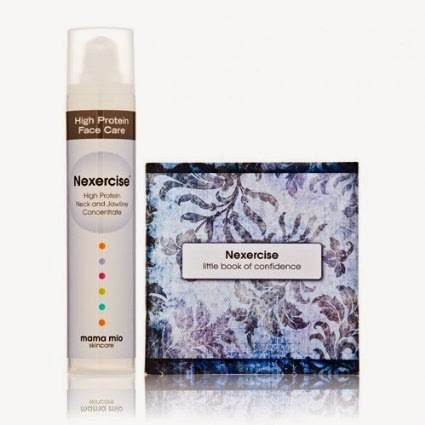 Its Nexercise Neck & Jawline concentrate is 1.7 fluid ounces of super moisturizing, collagen boosting emollient that has amino acids, firming proteins, vitamin and antioxidants and a peptide technology that the company says helps smooth out, hydrate and strengthen the neck and jawline.The $45 cost for this potion is nominal compared to full out surgery or series of Botox injections. Get it Amazon.com. 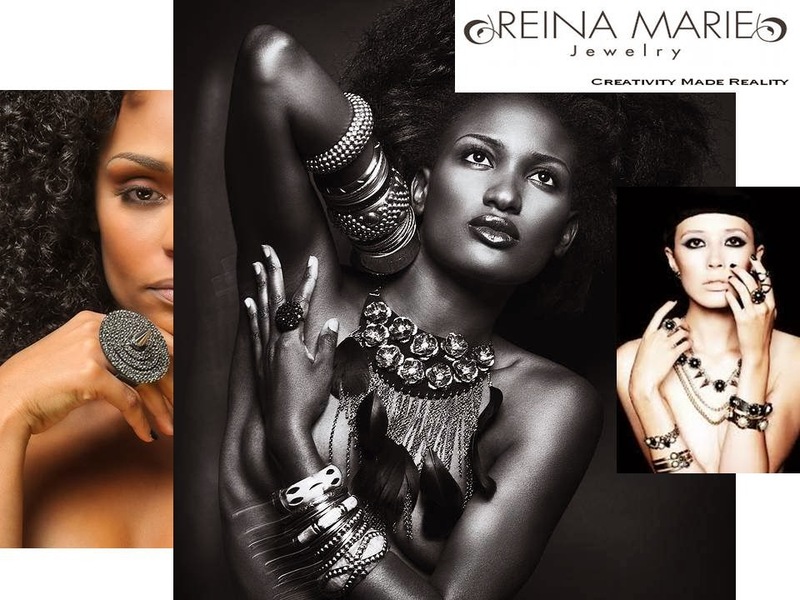 Whether you’re shopping for a friend, sister, niece, god daughter this Christmas, you can’t go wrong with a piece of one-of-a-kind jewelry. We love that pale blue box and the goodies that come from Tiffany’s but its pieces are mass produced while hand-crafted gems like those sold by Pennsylvania artisan behind Reina Marie Jewelry are not. Each of her unique items is made to order and meticulously wrapped and shipped. We hand selected this exquisite piece of silverplated dangling gem earrings, the Blue Genie ($25) for one luck Bellyitch Reader to win. From now until Sunday, December 15 at midnight! Enter to win it! Hurry! Enter today and tomorrow. Ships to US or Canada! There is so much controversy over the practice of swaddling newborns, the practice of wrapping them snugly in a receiving blanket to keep them calm and steady while they sleep. Bada Boum resolves some of the concerns about whether a baby’s body parts may be too restrictive. It is a sleep sack with plenty of wiggle room. The unisex sack, the brainchild of a French ex-pat California mom, snaps on the shoulders and zips down, making it easy to get baby in and out. The design also accommodates quick removal for a diaper change if mom or dad wants to put baby back to sleep without waking him or her. A great design and concept and that is why Bada Boum sleep sack is one of Bellyitch’s Favorite Things of 2013. Open to US Only. Enter daily! For over 70 years, Leading Lady has been a premier nursing and full figure intimate apparel company dedicated to creating comfortably functional, affordable yet stylish easy-to-wear bras and camis. 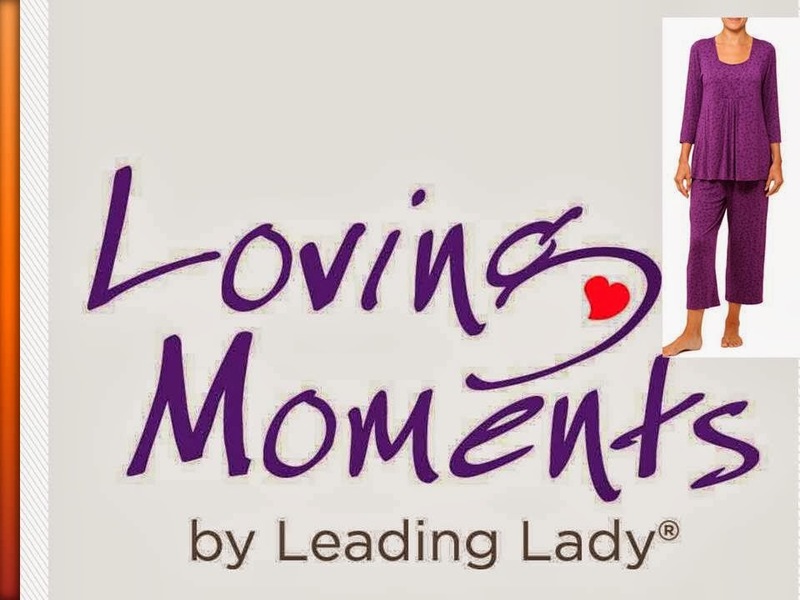 It’s relatively new Loving Moments by Leading Lady collection can be found exclusively at Wal-Mart. The line offers expecting and new moms quality, afford ale nursing intimate apparel in playful stretch lace, cute but supportive camis and soft and comfortable leisure bras and seamless nursing bras for every occasion.